Wait. The Red Beanbag is not located at Publika but more precisely Solaris Dutamas. But if you're like me, a newbie to the area, it does not make a difference, right? My brother forced recommended we have lunch at The Red Beanbag. It took us some time to find the place alas, it was on the first floor. Full house. Had to wait around 15 - 20 minutes for an empty table. Unique. 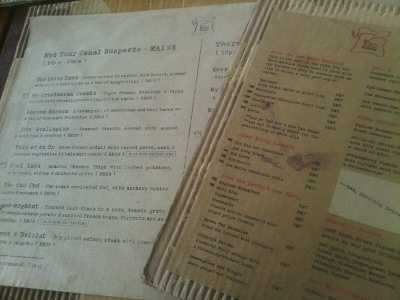 The menu were placed on recycled cardboard. Cozy. 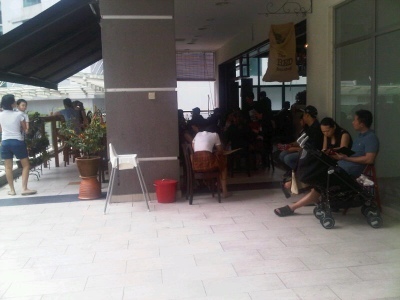 Diners could choose to sit inside or outside to enjoy the Publika view. But of course, when it's full house, it does not matter. 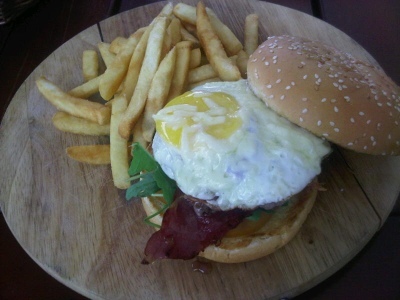 Beef burger. Nothing "wow" about it. There's the beef bacon, egg, tomatoes to go along the homemade beef patty. 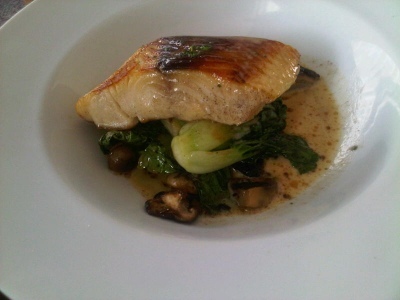 Nevertheless a great meal. Grilled cod with butter sauce. 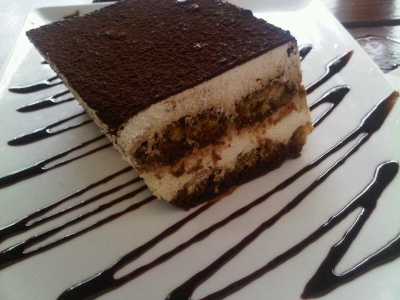 And to end the experience, a slice of heavenly tiramisu.